Deputy Governor of Delta State and chair, Delta State Advocacy Committee Against Vandalism of Oil and Gas Facilities, Barr. Kingsley Burutu Otuaro, says ongoing efforts towards enduring solution to oil facility vandalism is in collaboration with Federal Government peace initiatives. Otuaro stated this at Ogulagha, Burutu local government area of Delta State during the just concluded first phase of a 2-day conference themed: “Sustaining Peace Building Potentials and Surveillance of Oil and Gas Facilities Through Community Engagement”. The Conference, which drew participants in youths, leaders and traditional institutions from Itsekiri and Ijaw kingdoms also had representatives of local and international oil companies with Country Chair/Managing Director of the Shell Petroleum Development Company (SPDC), Nigeria, Mr. Osagie Okunbor, personally delivering his keynote address. The event featured paper presentations from erudite scholars on “Crude Oil Theft, Illegal Refining: Impact on Food Security and Environment” (by Prof. Flora Tubolayefa Oluwafemi), “Environmental Peace and Security in the Niger Delta: Securing Oil and Gas Installations” (by Dr. Stephen A. Faletti), “Efficacy of Nonviolence as a strategy for Agitation in the Niger Delta” and “Sustaining the Oil and Gas Industry through Community Partnership”. Informing that Governor Ifeanyi Okowa set up the Advocacy Committee in 2016 when there was a resurgence of breaches of oil and gas assets with consequential damage on the economy, Otuaro said the Committee traversed several kingdoms in the creeks to seek understanding that eventually halted the ugly situation. Appreciating the stakeholders for the prevailing peace, Otuaro stated: “We are having this conference to deepen engagements for sustainable peace, security of oil assets and to partner with the FG’s peace initiatives towards developing the Niger Delta Region”. In his keynote address, Country Chair of SPDC, Mr. Okunbor, said his company’s strategies for securing oil installations goes beyond reliance on military cover. The company, he said had embarked on community development, employment of indigenes, provision of social amenities/infrastructure, social investment and enterprise development programmes among others. These, he said, were beside provisions by the company through the Global Memorandum of Understanding (GMOU) which empowers communities to put up plans of their own for improvement. Following the lectures delivered by Prof. (Mrs.) Tubolayefa Oluwafemi and Dr. Stephen A. Faletti, reacting participant after participant agreed that pipeline vandalism is shooting self in the foot, considering the untoward consequences. The participants, however, raised various issues they want addressed to encourage dedication of locals in protecting oil and gas assets from being compromised. The demands include adequate employment, especially graduate indigenes of oil communities, engagement of local contractors, increased scholarship grants, sustained engagement and enlightenment of the locals via more conferences, deliberate women empowerment, infrastructural development, restructuring, among others. 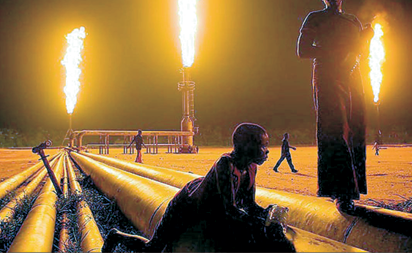 The post Pipeline vandalism: Delta advocacy C’ttee partners FG, others for enduring solution appeared first on Vanguard News.